If you are on the market for Forklift Spare Parts, ensuring you buy the right one is important in ensuring the productivity of your business. Come to us at CV. 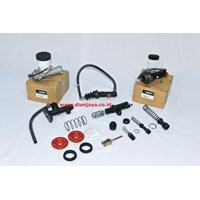 Dian Jaya, we sell Forklift Spare Parts in Surabaya. All mechanical equipment eventually needs to be repaired and you will immediately realize the importance of each part of the forklift when one of them becomes damaged. One of the best ways to ensure the smooth functioning of your forklift is to routinely maintain, inspect and replace worn parts of the forklift. Forklifts, whether powered by batteries or internal combustion engines, are very important in any business whose operations involve heavy lifting and material handling. They are used to lift and move heavy loads safely for a long time. Forklifts are designed to last a long time, but like other engines, forklift parts are vulnerable to wear. For your lift truck to continue to operate and your employees to be safe, we sell high quality forklift spare parts that are very important. 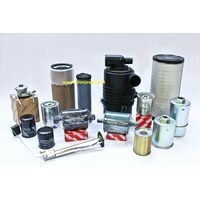 We Sell Forklift Spare Parts for all your maintenance and repair needs. CV. 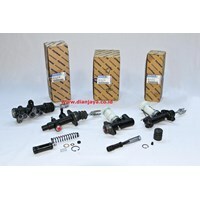 Dian Jaya Selling Forklift Spare Parts in Surabaya, come to us to get a reference when choosing a Forklift Spare Parts. Mining and construction use modern equipment that incorporates advanced technology that requires superior filtration to maximize performance and reliability. 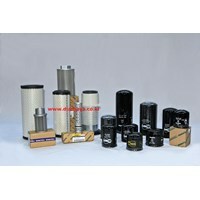 We sell specially designed forklift spare parts to achieve superior protection and long maintenance. 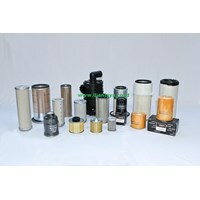 Forklift filters are used for heavy equipment used in the environment with extreme weather and contamination. Therefore, the components used are always at risk of negative impacts under extreme weather conditions and the sequence of contaminants in the form of dust and dirt.A forklift is a heavy duty vehicle responsible for large and powerful load hauls, likely to be affected by pollution in the environment. 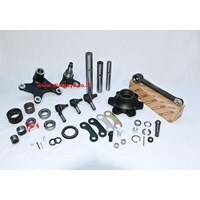 So we sell forklift spare parts that can be made with reliable materials and high quality. The forklift filter consists of fibrous material, which removes solid particles, dust, pollen, mold and bacteria from air and fluids. If the contaminated air directly enters the combustion engine system, it affects the efficiency of the engine, puts the engine to a stop or damage. Forklift engines are machines designed to convert chemical energy into mechanical energy. By burning fuel through internal combustion in a series of pressurized cylinders, the engine creates a movement that mobilizes the vehicle. The mitsubishi forklift machine is inhabited by a variety of mitsubishi forklift spareparts that can produce tremendous amounts of energy. That the energy generated can be utilized to drive the forklift. If properly utilized, that extraordinary energy can work well to drive the forklift.CV. Dian Jaya as a distributor of forklift spare parts provide one type of sparepart that is starter, alternator, gaskets, cylinder head and carburetor. Similar to most mechanical parts and components, the use of the machine from time to time must have damaged or replaced components. Scheduled maintenance, tune ups, and regular oil changes can prevent damage and long-term machine efficiency. Machine problems are largely avoided when regularly maintained and use spare parts from qualified mitsubishi forklift sparepart distributors. 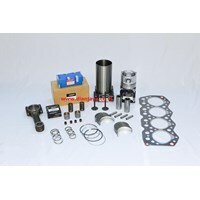 We as a provider of Spare Parts Forklift Surabaya complete and reliable. The braking system of the Toyota Forklift that handles this system, is basically a method of converting pressure into heat energy through the formation of friction on the truck's wheel brakes. Braking system that works based on the principles of hydraulic which is often called hydraulic braking system. Braking function is often used is the hydraulic braking system, because it applies fluid pressure. And this system is used to be the braking system of a forklift operator. 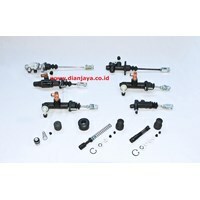 A braking system usually consists of two fundamental parts namely the brake wheel mechanism and the master cylinder.Jual Sparepart Forklift Surabaya MurahThe master cylinder is a major component of the forklift braking system, as it triggers and manages overall braking action. Brake fluid is stored in the reservoir, which will be connected to the master cylinder. The master cylinder controls two different subsystems that will be activated together when the brake pedal is pressed. It is designed to ensure that one system will continue to function even if there are leaks or other forms of damage to other systems. The liquids supplied to this system may be from the same reservoir or from two different reservoirs, based on the brake system model. Anda Mencari "Forklift Spare Parts"? 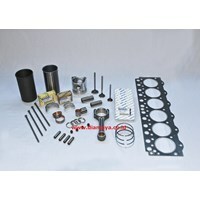 Buat Permintaan Untuk "Forklift Spare Parts"